that multi-tasked, cultivates more than one crop and also engages in succession planting which enable them to be in the market throughout the 12 calendar year. Obviously, without weekly work schedule, running a smooth succession planting program might be a bit more difficult where each stage of crop cycle requires its own different application regime. Some of the notable activities which are required to be fit into daily activities are; weeding, fertilization, irrigation, bed making, field clearing, pest/disease scouting, spraying of pesticide, mulching, Nursing of seeds, transplanting, harvesting/sorting etc. These sets of activities must be assigned with particular time and period for which they must be done during the week. They must be observed by the workers and the supervisor would ensure that this is followed strictly otherwise, if a schedule isn’t put in place in a multi-tasked farm, many essential activities would be lagging behind and the workers would take liberty to rest while important things need to be done on the farm. 2. It is also essential that workers, no matter how small in number must be divided into Work Team. The reason for this is that; every worker has different IQ and good at different tasks – one worker may be detailed which means such may be good at scouting for pest/diseases and also spraying appropriately; another may be so energetic which makes him to be good at clearing weed and making beds. In other words, strength and weaknesses of the workers must be established which would facilitate dividing them into team. On the recording template; the foundation to growth of any farm is the strength of its record keeping culture. Nursery record: This would contain among other things, the variety of seed nursed, the quantity, date, expected transplanting date, the batch etc. Seed stock record: This would contain the quantity of seeds procured in store. This would enable the farm to know when to procure additional seeds ahead of time. Field record: This would contain the information of the crops on the field such as the date of transplanting, variety, pest or disease observed, measure taking (such as bio/synthetic chemical sprayed), yield per section/field/bed etc. Harvest record: This would contain information of the total weight of the harvest per time, per section/field/bed and also from which variety this comes from. This information would help the farm to make informed decision on variety choice and also makes future budget/cost benefit analysis. Succession planting guide/record: In order to multi-cropped successfully, there is any need to observe crop rotation. This record would help the farm to know what family of crop was planted before on a particular section and which should follow. Sales record: This record contains the marketable yield which is different from the harvest yield. What quantity was taken out of the farm per harvest and the date. Cash flow record: This is mostly kept by the manager and the management. This is mostly good in form excel template where daily, weekly or monthly expenses are recorded. The amount realize from sales of produce per time is also record. This is mostly self-calculating as you are inputting the figures. At a glance, you would know the financial health of the farm enterprises and know where adjustment is needed if need be. Lastly, there is a saying that goes: "You can't give what you don't have", this is essentially applied to asking farm hands to do what they have not be trained on. 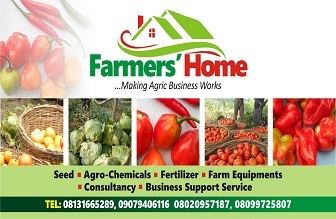 There are works on the farm that are technically inclined, it is vital that for such tasks, you call on external expert/consultant in this area to train your workers to meet the deliverable in this area. Otherwise, you may just have to keep on lamenting over their failure and keep on changing workers. Though, it is cost inclined, workers' capacity building is the soul of development in any organization whereas the benefits outweighs the cost. I hope this would help you a bit. 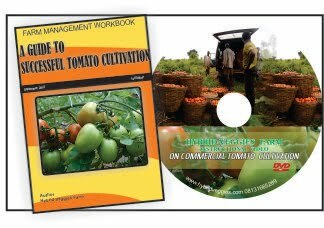 However, if you need professional inputs into developing a comprehensive record/financial template, design and also capacity building training to increase your workers/farm efficiency, please do Contact JB Akin Owen & Sons enterprises. Email: jimbod1919@gmail.com for further inquiry.